Veteran Olympic gold medallist Cameron van der Burgh qualified for an impressive fifth World Swimming Short-Course Championships in Durban on Saturday evening. AUSC 2016 Region Five Games multi-medallist Michael Houlie finished second behind him in 59.28 with Eastern Cape swimmer Alaric Basson bagging bronze in 1min 00.16sec. So far 10 swimmers have posted qualifying times for the World Swimming Short-Course Championships in China in December. Double Commonwealth Games gold medalist Tatjana Schoenmaker posted a 100m breaststroke qualifying time during the morning heats. She ducked below the required time again in the final during the evening session touching in 1:05.12. Schoenmaker hit the wall ahead of 15-year-Lara van Niekerk in second place with 1:08.34 and Emily Visagie, who finished third in 1:08.35. The Pretoria powerhouse had already qualified in her specialist 200m breaststroke event earlier at the championships. 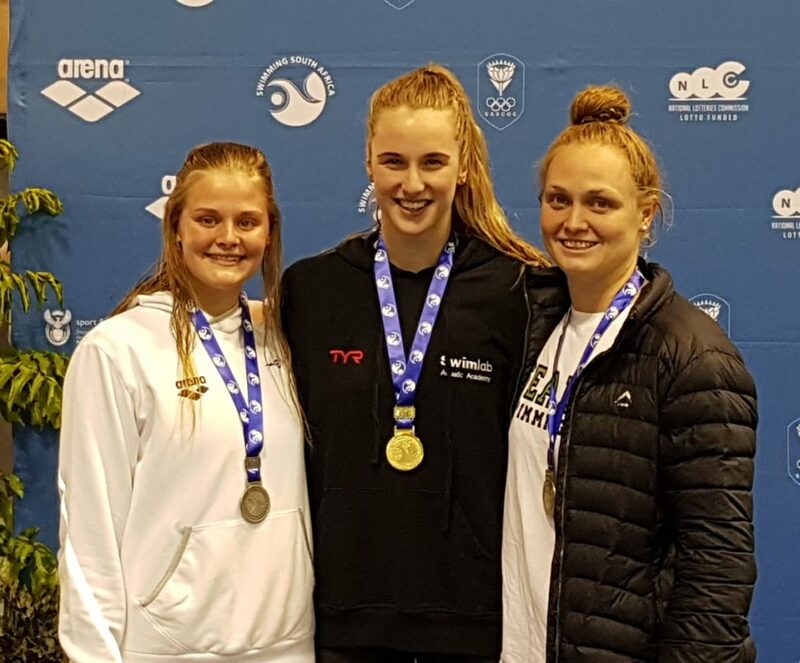 Despite being distinctly undercooked after health issues going into these championships, home town girl Erin Gallagher is experiencing a superb championships qualifying for her third event when she raced to victory in the 100m individual medley. She won in 1:01.00 with Tayla Lovemore finishing second in 1:01.31 while rising star Rebecca Meder touched third in 1:01.54. Gallagher qualified for the global showpiece in the 100m freestyle (53.34), 50m butterfly (26.07), and 100m IM. Zane Waddell won in a qualifying time in the men’s 50m backstroke dipping below the qualifying mark for the second time on the day posting a winning time of 23.55. 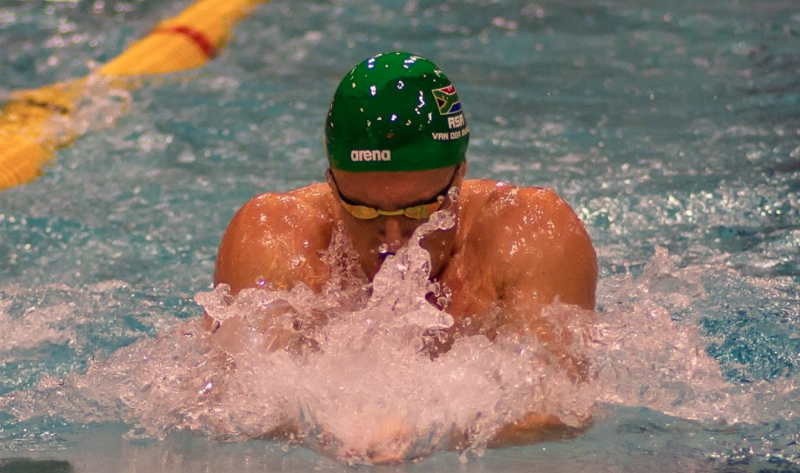 Jacques van Wyk touched second 24.57 seconds ahead of SA swimming stalwart Gerhard Zandberg, who finished third in 24.67. Waddell had already penciled his name in for the world championships in the 100m freestyle at the Durban trials. 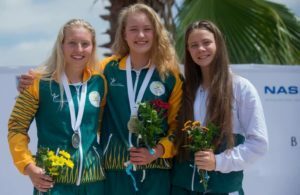 Teenage swimmer Olivia Nel (above centre) won the senior 50m backstroke title in 28.64. Gabi Grobler finished just behind the Capetonian for second place (28.78) with Jamie Reynolds rounding off the podium with 29.34. In the 100m IM Olympic finalist Brad Tandy finished first, clocking 54.41ahead of Zandberg (55.43) and Damian Mullen (55.48) in second and third respectively. Endurance athlete Kate Beavon won the women’s 400m freestyle title in 4:11.44. Marlies Ross (4:12.97) finished second with Rebecca Meder’s sister Abi (4:12.98) taking third. Ruan Ras raced to victory in the men’s 400m freestyle clocking 3:50.48 with Josh Dannhauser (3:50.67) winning silver and Aryan Makhija finishing third in 3:53.00. Duné Coetzee won the women’s 200m butterfly medal in 2:13.31 touching ahead of Carli Antonopoulos (2:17.41) in second place with Trinity Hearne (2:18.74) finishing third. Ras was again in action, claiming the top step on the podium in the 200m butterfly posting a time of 1:57.97. He was followed by Ethan du Preez (1:58.83) I’m second place and Ruan Breytenbach (2:00.15) hitting the wall in third place. Cape Town’s Ayrton Sweeney, who has a 200m breaststroke QT in the bag, shared his thoughts with Team SA’s MARK ETHERIDGE. ‘Yeah, I really stoked as I wasn’t expecting it completely, was more concentrating on Sunday’s 400 IM. ’To tell the truth I’ve been in a bit of a holiday mode since Commonwealth Games, I went back to Cape Town to be with family after Australia and then to Greece for Cam’s [Van der Burgh] wedding, so I’ve only really had a block of about three weeks,’ he said. – Heats start at 9am while the finals begin at 5pm every day. 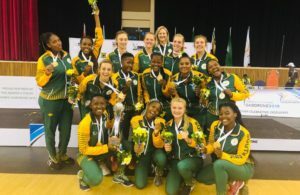 – The staging of this event has been made possible through the support provided by Swimming SA partners, Sport and Recreation South Africa, SASCOC, Arena, Rand Water and the National Lotteries Commission.